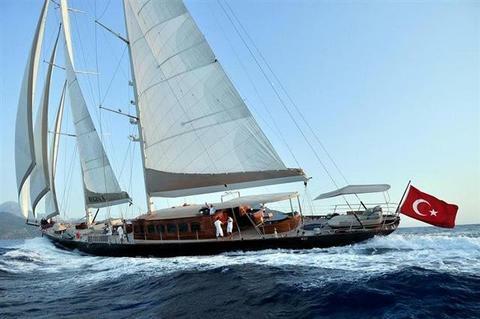 Boat type ----------------------- Sailboats - all - Sailing yachts - Mega yachts (sailing) Charter country ----------------------- Croatia Greece Italy Spain Turkey Charter area ----------------------- Mediterranean Sea - Adriatic Sea - Aegean Sea - Balearic Islands - Calabria - Costa Smeralda - Cyclades - Dalmatia - Dodecanese - Gulf of Antalya - Ionian Sea - Kornati Islands - Kvarner Gulf - Levantine Sea - Liparic/Aeolian Islands - Majorca - Mediterranean Sea - Sardinia - Turkish Riviera - Tyrrhenian Sea Port ----------------------- Please choose a country! 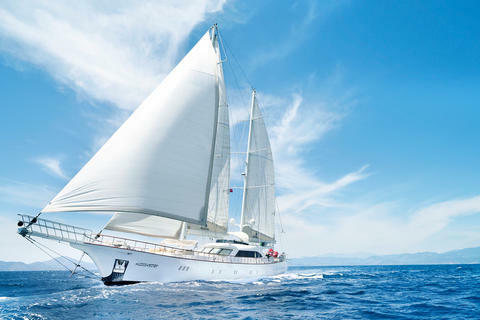 Luxury Charter, specialist for tailor-made and bespoken yacht vacation. 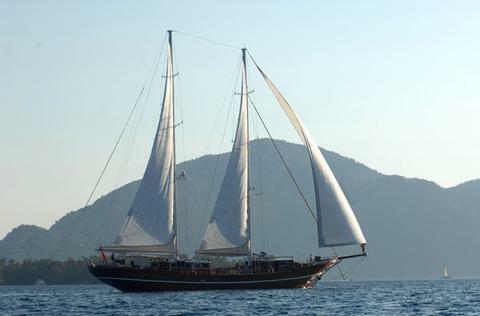 High Deluxe Gulet HALCON DEL MAR is 2018 built, measures 42 meters, she accommodates 16 guests in 8 spacious cabins. 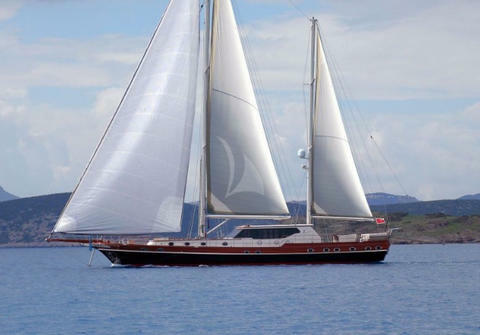 She offers every comfort of a modern Yacht combined with elegance, charm and superior deluxe comfort. 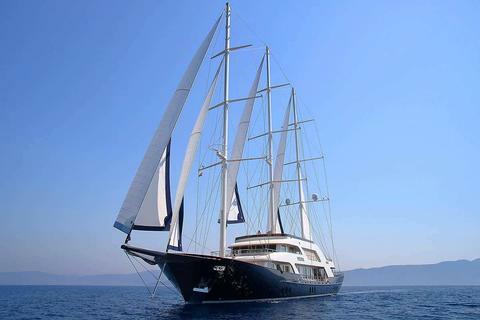 You only live once - High Deluxe Yacht Regina offers every comfort of a modern Yacht combined with elegance, charm and superior deluxe comfort. 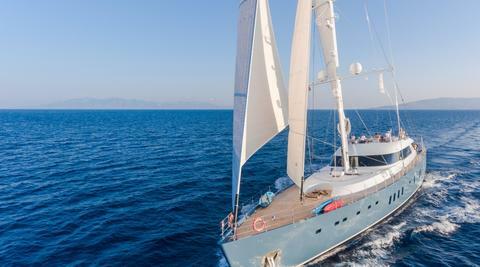 Regina is the perfect yacht for a private yacht charter enjoying the warm East Mediterranean climate. 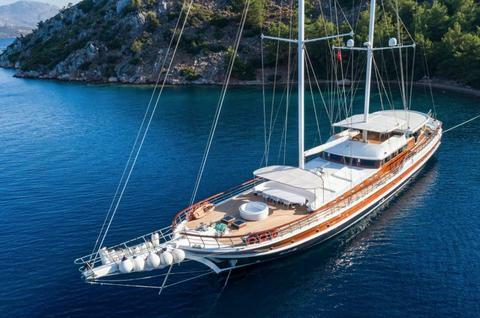 High Deluxe Gulet Arabella offers every comfort of a modern Yacht combined with elegance, charm and superior deluxe comfort. 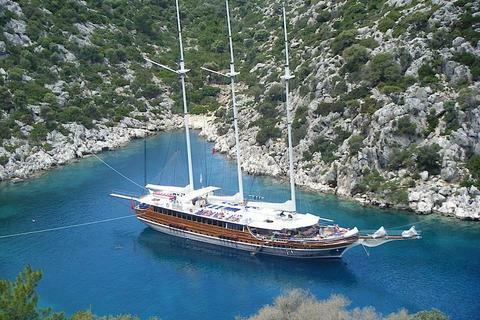 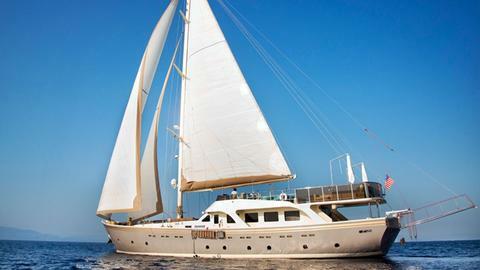 Arabella is the perfect yacht for your private yacht charter in Turkey.